The two students accused of Sony Pictures hack participated in Cyber Defense Competition team exercises at the University of Advanced Technology in Arizona. US authorities have reportedly arrested a second suspected member of hacking group LulzSec on charges of taking part in an extensive computer breach of Sony Pictures Entertainment. 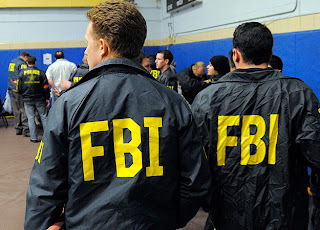 Raynaldo Rivera, 20, of Tempe, Arizona, surrendered to the FBI in Phoenix six days after a federal grand jury in Los Angeles returned an indictment charging him with conspiracy and unauthorised impairment of a protected computer. In September 2011 charged Cody Kretsinger, then 23, with being Recursion. This week, meanwhile, the FBI announced the arrest of Raynaldo Rivera, 20, after he was recently indicted by a federal grand jury on charges of conspiracy and the unauthorized impairment of a protected computer. Two men who've been arrested on charges that they hacked into the website of Sony Pictures Entertainment and posted stolen data studied together at the same university, and they also participated on the university's team for the Cyber Defense Competition held in March 2011. According to court documents, the attackers used a VPN service in an attempt to mask their activities, and later boasted of having compromised the Sony website by using a single SQL-injection attack. Kretsinger began pursuing a network-security degree at UAT in August 210, and in July 2011 was named as student of the month, saying that "a job with the NSA or Department of Defense is my ultimate dream." Both men’s grand jury indictments charge them with conspiracy and unauthorized impairment of a protected computer to participate in the Sony breach, which authorities said cost the studio more than $600,000. Prosecutors say Rivera used a proxy server to conceal his IP address and location.